We believe teachers are key persons not only for students IQ, but also social and emotional success in the classroom. We provide teacher trainings that will help teachers to learn about the ethics of teaching and deepen their knowledge about early childhood psychology and innovative teaching and communication methods. Teacherpreneurs are imaginative teachers who think beyond the classroom in terms of how to make lessons meaningful. They step outside the classroom, involve themselves in educational leadership, write their own curriculum, integrate their innovative methods with the existing school curriculum, and even educate their peers, other teachers. The key here is that the teacher creates a different way of navigating the profession without leaving that profession entirely. 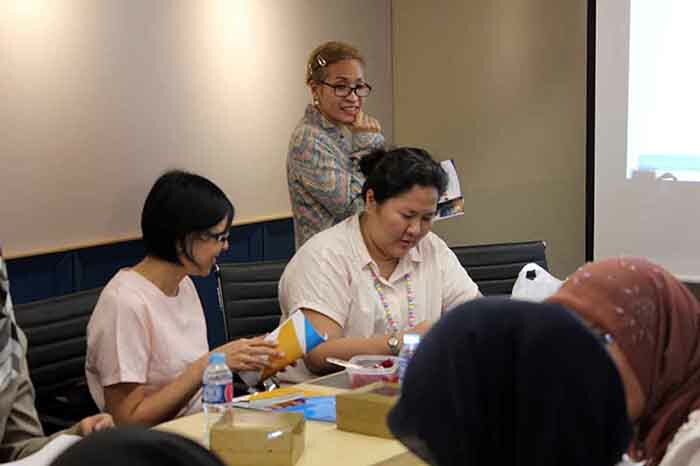 We had our first Teacherpreneur Workshop in Jakarta last month (21 February 2018) with our founder, Pamela Seagal and some passionate teachers. We had engaging discussions about innovative teaching methods that allowed students to express both positive and negative emotions constructively. 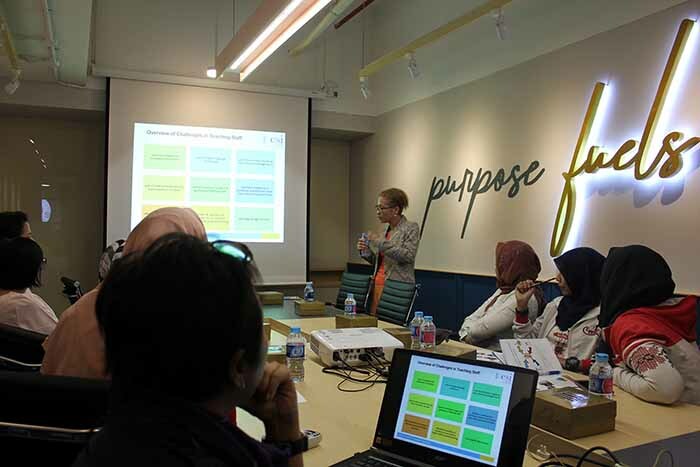 We discussed both the teachers experiences and ESI curriculum that built social and emotional skills (EQ and SQ) in early childhood education, peak performance and English language enhancement. Ms. Ayu Swarnasari, a teacher of Rumah Belajar – Yayasan Cinta Anak Bangsa, Cipinang, East Jakarta. Mr. Jonathan Tlau, the Principal of Kinderland Preschool Pakubuwono, South Jakarta. Innovative teaching methods help both the teachers and the students. Ms. Sisca, teacher of Leader Castle Preschool, Sunter, North Jakarta. dr. Lilie Lalisang, the Principal of Leader Castle Preschool, Sunter, North Jakarta.